A man who killed a Derbyshire woman in a crash in London has been jailed. Abdul Sujac, 22, of Sunrise Close, Stratford was jailed for six years and three months at Southwark Crown Court after pleading guilty to causing death by dangerous driving. Laura Ann Keyes was just 19. He has also been disqualified from driving for five years. Police were called to Creek Road at the junction with Deptford Church Street at 10.15pm on Thursday November 30, 2017 after reports of a vehicle being in collision with a pedestrian. Officers and paramedics from the London Ambulance Service attended and provided first aid to the pedestrian, 19-year-old Laura Ann Keyes, from Tideswell. But sadly, despite their best efforts, Laura was pronounced dead at the scene. 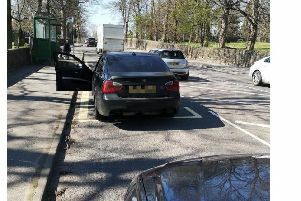 Sujac, who was driving a black BMW, stopped at the scene and was arrested on suspicion of dangerous driving before being charged in June 2018. The court heard he was a habitual dangerous driver who recorded clips of his exploits. Over 4,000 clips were recovered from his phone. In one video, posted two days after being convicted for another offence, he posted a caption stating 'nine points ain't gonna stop me driving' after being penalised for careless driving near the Westfield Shopping Centre where he struck a pedestrian. After his sentencing, investigating officer Detective Sergeant Richard Budd, of the Metropolitan Police Serious Collision Investigation Unit said: “The evening that Laura died she had been having fun with her friends and enjoying her life before it was tragically cut short in the most cruel and sudden of circumstances. “Sujac’s senseless and irresponsible actions have robbed Laura’s family of a person who by all accounts was a well-loved and well-liked young woman who had the rest of her life to look forward to.